We are seeking a SOUS CHEF to help guide our guests' dining experience. The sous chef will be responsible for the following:<br><br>- To teach and maintain the quality of all products that are served to our guests from the time the product is delivered to our <br> restaurant and all steps of storing, butchering and cooking until it reaches the guest.<br>- Oversee all aspects of the kitchen when the Executive Chef is away from the kitchen, communicating all direction to all cooks, <br> dishwashers, and porters regarding pace of service, special needs, and general guest satisfaction.<br>- Teach and motivate the staff, and ensure that they maintain cleanliness of the kitchen.<br><br>The ideal candidate will have:<br>- 3 years Experience in a kitchen leadership role; Fine-Dining experience is a huge plus!<br>- Passion for food and guest service<br>- Excellent Communication Skills & positive attitude<br>- Great Attention to Detail<br><br><br>Why work with us? ?<br> Competitive hourly rates & opportunity for growth (we are expanding! )<br> Paid Time Off<br> Full benefits package with 75% paid premiums<br> 401k with employer match<br> Flex Spending Accounts for Medical, Transit & Parking <br> Shift meal, dining discounts in other E2 restaurant locations, and a great work environment!<br><br>If you feel like you are a good fit for a SOUS CHEF, please send in your resume for immediate review. ESquared Hospitality is proud to be an equal opportunity employer. We look forward to hearing from you! 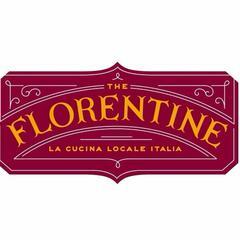 The Florentine is posting their hospitality jobs on Harri.